Somehow restaurant seems the wrong word for Saba’a. The place is both a tribute to a disappearing Arabic way of life and a culinary call to arms. Food is never just fuel. Staff are not just waiters and waitresses. They are acolytes, reverentially preserving a centuries-old way of life in the face of the global march of brands, chips and fast-food. 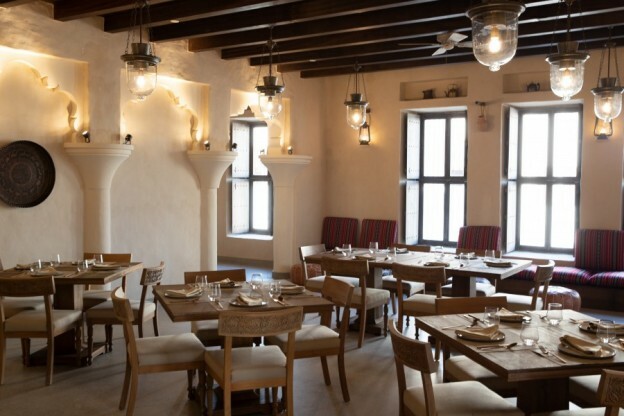 Situated in Al Seef, on the south bank of Dubai’s Creek, Saba’a is an Arabian restaurant with a simple decor: neutral tones and dark wood. Tables are spacious. Saba’a recreates the tradition of families and friends eating together. Many men wear their white flowing kandour robes and the women their abayas. Tables and chairs are a concession to modernity. In a land where timber is rare most meals were once taken seated on rugs. Other rituals remain. Families follow age-old customs: praying before and after the feast, washing their hands before and after eating. 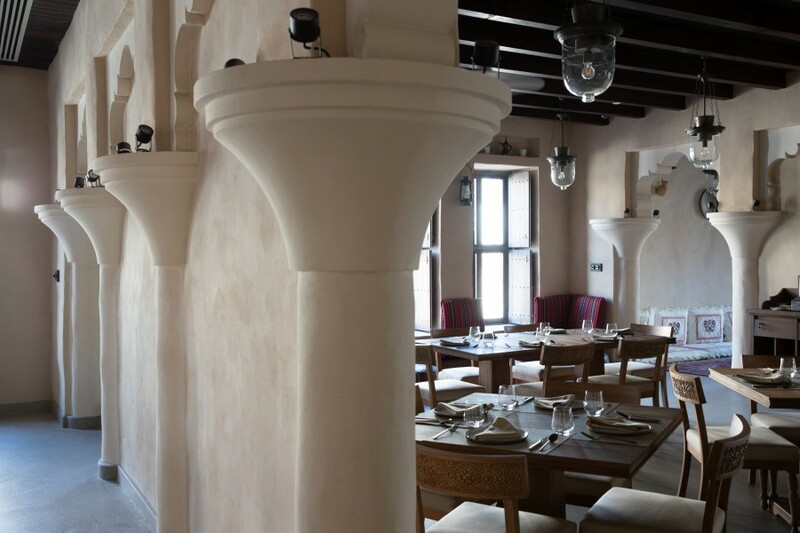 The restaurant is part of the Al Seef Hotel by Jumeirah, whose bayts – traditional style houses – are dotted through the winding alleys of Al Seef which recalls Dubai of yesteryear. Think of the cracked plaster, desert-distressed timbers and palm frond motifs of a nativity scene – and you’ve got Al Seef. And the name? Saba’a means seven. Jamie Oliver named his restaurant “Fifteen” but Saba’a has even more royal origins. Seven is Sheikh Hamdan bin Mohammed bin Rashid Al Maktoum’s favourite number and Saba’a is in honour of the 7 Emirates; Abu Dhabi, Dubai, Ajman, Fujairah, Ras al Khaimah, Sharjah and Umm al Quwain. 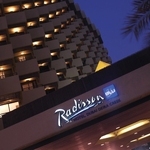 For centuries Dubai has been a trading post with dhows importing flavours and textures from Africa and Asia. A century ago a Saba’a style feast could have been Lawrence of Arabia and his allies celebrating victory. Cast aside concepts of menus and courses. This is a sprawling Bedouin-style banquet. 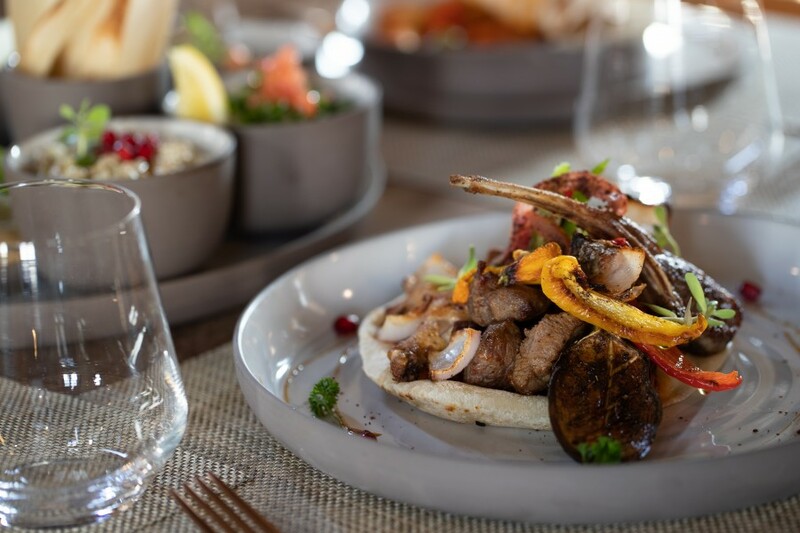 Paradoxically though there is just one decision to make – either Seafood Meshawi or Arabic Meshawi (grilled meats, mainly lamb) – there is too much choice. It may be an hour or two before you see your chosen Meshawi. A plethora of small dishes make a Greek meze look minimalist, make a Spanish tapas evening positively spartan. No one leaves such an Arabian feast hungry. Ordering two feasts between three or even four people should be more than adequate. Vegetarians will find plenty that is to their liking. The first course is a taster of Arabic cuisine and history with five small dishes. moutabel, fattoush, tabbouleh, a cylindrical cheese pastry, hummus dips and freshly baked flat Arabic breads. Then there’s a large plate with a samosa-like triangular lamb pastry, vividly coloured pickles and stuffed vine leaves. This is slow-slow food from another era. A feast to be shared, to be enjoyed, to build relationships with families, friends and allies. Then it is two soups served simultaneously. Lamb and oats perfectly compliment a soup of lentils, olive oil and cumin. Two-soup starters is an innovation that should be explored on Masterchef. Eventually, the Meshawi arrives: your choice of grilled lamb or seafood. A fresh sea bream who was probably swimming in the warm waters of the Gulf just hours previously and the grilled chunky prawns – far more muscular than their fragile pale pink freshwater cousins. Just in case you had forgotten that this is a veritable feast there are three small dishes to accompany your fish or lamb: chicken salona, eggplant mousakah and mechboos – which is rice topped with slithers of onions, tomatoes and peppers. There are two chutney-style side dishes too. Masterchef judges Torrode and Wallace may have been overwhelmed by such a tsunami of tastes and textures. Dessert is neither a light confection nor a simple palate cleanser. Heston Blumenthal would probably think that cinnamon ice-cream and strawberry coulis with mint was pushing experimental taste combos but in a land of spices, it is merely an age-old favourite. And it’s good to see date syrup used for peaceful purposes in the luqaimat. When castles were besieged in times of yore, boiling date syrup was poured on the heads of the besiegers. And the feast ain’t over until you’ve finished the Umm Ali, that Middle Eastern favourite of puff pastry, rose water and pistachio – probably as close as you get to comfort food in these parts. So, Saba’a is more than a restaurant. It is an Arabian Banquet. Like Scheherazade, it tells a thousand and one stories of Arabian life.